If you don't know who Kaiyana Rain is yet you will. She is an up and coming Female Fighter out of California. Not only is she an Amateur MMA fighter but she is also trying her hand at Boxing. She is a lady of many talents and an over all good person. So please help me welcome Kaiyana to the WMMA community and read on to learn more about her and what she is trying to accomplish. SchenkMMA: Tell us a little about yourself? Kaiyana: I was born in Pailin, Cambodia and raised in Seattle, Washington. I am fortunate to have grown up in a large family and to come from a home where all the daughters respect themselves and all the sons respect women. My parents may have done some things wrong but mostly they did a lot of things right. I moved to Los Angeles 8 years ago and love living here. The sunshine has been good for my disposition. I put on a Gi the end of June last year. I had had some No-Gi training off and on before then, sporadically for about a year at Krav Maga Worldwide but then I left fight training all-together for about eight to nine months. Currently I am a 'Baby' Blue having just been promoted mid-December to Blue Belt by Lucas Pires at Werdum Combat Team. I have done 2 no Gi tournaments at the beginner level and placed silver in both. My 1st Gi tournament was the IBJJF Nationals as a white belt last September in which I had a 1st round loss. My second Gi tournament was the IBJJF Pan Ams as a Blue Belt 118lbs. There I placed Silver. I had my 1st amateur MMA fight last October. 115lbs. Unanimous decision win. I had my 1st amateur boxing match in February of this year. 117lbs. Unanimous decision win. Looking forward I am scheduled for the Samurai Jiu-jitsu Tournament May 8th, a match June 3rd for Old Dog Boxing, an MMA fight June 11th for BAMMA and then the NABJJ Jiu-jitsu Tourney June 26th. SchenkMMA: Where do you currently train? And who are your main Trainers? Kaiyana: I get my MMA, Jiu-jitsu and Kickboxing training at Werdum Combat Team. There Lucas Pires and Andrew Hagar are my primary coaches. I just started pure boxing training the end of January with Marcelo Crudele at Train Me Right Boxing. Also I get extra sparring time and fitness at Krav Maga Worldwide. SchenkMMA: What is your favorite style to train in and why? Kaiyana: I enjoy each one equally and I am hoping to add Judo and Wrestling very soon. I learn so much from each style and it is the learning process that maintains my interest. SchenkMMA: What is a day in the life of Kaiyana Rain like? Kaiyana: Each day of my life is something to be truly grateful for. I train. I eat. I sleep. I work (minimally, but I also live a very simple life). Mixed in there is time with family and friends because it is important to maintain a balanced and full life. SchenkMMA: Have you got a nickname? If so how did you get it? Kaiyana: To the older nephews and nieces I am, the BooBoo, and to the younger ones I am, KaiKai. SchenkMMA: Where do you see yourself in 2, and 5 years? Kaiyana: As a generally commitment phobic person I joke about having recently gotten hitched to Fight. In 2 to 5 years I hope to be competing professionally and teaching/training other fighters. SchenkMMA: What is your fight philosophy? Kaiyana: You play your strength; I’ll play your weakness. Let’s fight! SchenkMMA: What would you tell younger females who are just getting in MMA? Kaiyana: Finding the right coaches and team to train with is so important. There are many out there that can give you the technical knowledge but the emotional and psychological support is just as important, if not more so. As a young person you are still in your impressionable years and your foundation of self in still very much under construction. This may be hard to grasp as you probably feel very adult, mature. But so much happens and changes in your twenties and during this time your perspective on what you think you know and believe will also evolve. Having the right guidance and mentors will make all the difference in the woman you will become in fight and everyday life. SchenkMMA: Tell us about your first Amateur MMA fight? How did it feel to step into the cage for the first time? Kaiyana: I would say the experience was a bit surreal. I wasn’t feeling nervous in my thoughts though I’m sure my body was reacting a bit more appropriately to the new unknown situation. I was actually a bit concerned with how low energy I was. I wasn’t sure I was going to be able to fully get into the moment. But once the bell rang it was game on. When the girl standing in front of you is trying to hit you and take you down there’s no time for daydreaming. It’s action reaction. I learned so much. Though I didn’t do everything right, I didn’t do anything wrong. I also really respected the way my opponent handled herself throughout the fight and after. This isn’t combat, it’s combat sport so good sportsmanship has always been important to me and she was a class act. SchenkMMA: What was your training like leading up to your first MMA fight? Kaiyana: When I started at Werdum Combat Team about 4 months prior I resolved that I would make full use of this rare opportunity and that meant training my mind to let go of excuses and to allow myself to feel that I belonged here and deserved the training just as much as the male pro fighters. I don’t want to get into a play-by-play of my days because they all varied. Blood. Sweat. Tears. Bruises. Sprains. Fractures. Dislocations. Laughter. Accomplishments. Etc. Etc. I want only to say that as much is expected of me in training as any of the guys because I never ask to do less. SchenkMMA: Tell us about your first boxing match? Was it different stepping into the ring then the first time you stepped into the cage? Kaiyana: It was similar in my initial feeling of calm and being pulled into the moment when the bell rang. That first time in the cage and this first time in the big boxing ring for some reason didn’t feel like foreign lands. It’s a stage just like any other and the audience came to see a performance. I think with all this the hardest part for me is the couple of weeks leading up the fights. It’s during that time that I experience most of my worries. I want so much to make my coaches proud and because this is all so new I have nothing to relate it to. But something seems to happen a couple of days before that allows me to let go of all negativity and sleep peacefully which I am so thankful for. For the boxing match there were some different pressures I had put on myself. We had seen the opponent lose to my teammate, Jill Morely, just a few months before and they all expected me to win. Well, I believe in being confident but I don’t believe in seeing anything as a sure thing. I will always stand before my opponent with respect. This is fight, anything can happen. Also I had just started training pure boxing about 3 weeks before and wanted to give my coach something to believe in so we could confidently move forward. SchenkMMA: What is your favorite quote that you try to live your life by? Kaiyana: That changes from day to day. Inspirational quotes are important reminders of all we should feel blessed for today and encouraging words that help us remember what we can come to be tomorrow. SchenkMMA: Who is a fighter that you look up to in MMA? and why? Kaiyana: This is terrible to admit but I don’t really follow fighting. I don’t have cable TV or internet at home so my exposure is actually very limited. I always think I should study more videos because I am a fast visual learner. Someday I’ll get around to it. SchenkMMA: If you could have one dream fight who would you fight? and why? Kaiyana: I am 37 years old. They are all dream fights! Ha! SchenkMMA: Tell me something that probably most people wouldn't know about you? Kaiyana: My buddies might say I’m lying about this but for such a tough girl I am oddly maternal and domestic. Go figure. And I can be a real sap sometimes. SchenkMMA: Are there any sponsors or people you would like to thank? Kaiyana: Yes! Fabricio Werdum and his Combat Team and Lucas Pires and Andrew Hagar for believing in me and giving this silly ole gal a shot at a dream I would never have thought possible a few years ago. Marcelo Crudele of Train Me Right Boxing for the same reasons. My manager, Jill Morley, who has given kindness to me freely since she first boxed me upside the head during our first sparring session, Marcus Kowal of Krav Maga for his initial faith and bringing me into the fight world, and all my training partners and teammates! I also have an extraordinarily supportive family and group of friends. Every day I say my thanks, every day I am grateful! 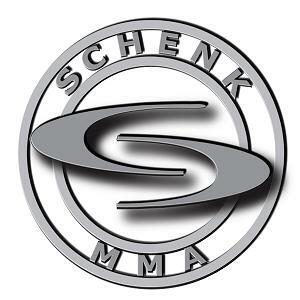 And thank you SchenkMMA for supporting WMMA fighters and for letting my voice be heard here. I wish your company all the best in the days ahead.